Jeff Zang’s radio story is the latest in our series called Listener Posts, where I place all of your personal radio histories. If you would like to add your story to the mix, simply send your story by email! I have enjoyed your blog…indeed it has been a major factor in my getting the bug again after being away from shortwave for about 20 years. I had played around with DXing AM stations at night when I was around 10 or 11; I lived just outside of Washington DC and remember hearing WLS and WCFL at nighttime once WLMD went off the air (a daytime station only). Also WBZ in Boston and WBT in Charlotte were pretty easy to hear, as well as KMOX in St Louis. The original Happy Station Show host, Edward “Eddie” Startz. Photo courtesy of RNW. 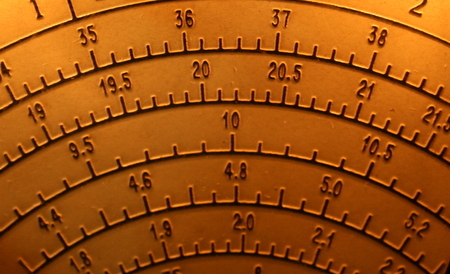 I first remember hearing shortwave on a trip to see my uncle circa 1973. He had a shortwave radio. I clicked it on and was fascinated to hear all the different languages and odd music coming from Middle Eastern stations. I also quite clearly remember stumbling on some bagpipe music; I first thought this must be from Scotland but it turned out to be the “Happy Station” show on Radio Netherlands. Straight away I was hooked. My parents got me a cheap shortwave radio (can’t remember the make, it wasn’t very good). It did however pull in the BBC and Radio Australia well enough and I became a devoted fan of both stations. I quickly moved up to the Realistic DX 160 once I’d saved a bit of money. This was a great radio to do serious Dxing with; especially later in the ’70’s when the sunspot numbers really went through the roof during the solar max at that time. I remember hearing Uganda, All India Radio, Radio Cairo came in fairly well at the time…Plus I was able to hear some Pirates on the weekends and since it had a BFO I could listen to Hams for the first time. Somewhere around the early 1990’s I fell out of the hobby; had to concentrate on other things for a while. About 3 or 4 months ago I came across your blog and found myself getting the itch again. 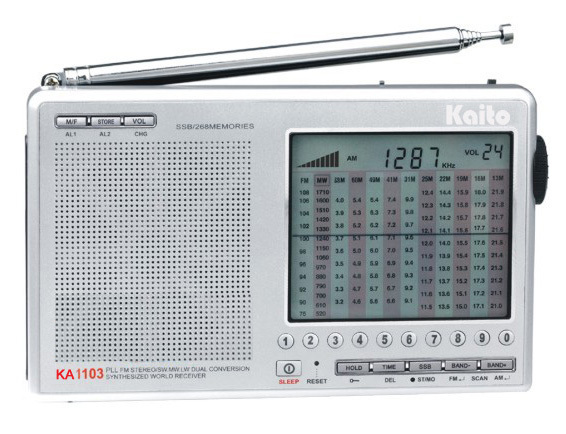 I now have a Kaito KA1103; amazing such a little radio can pull so much in. I’ve been reading your tips on what to listen to, have managed to catch some pirates and have enjoyed hearing Radio New Zealand in the mornings along with Radio Australia. I am sorry that so many of the stations I heard when I was a kid are now gone, SRI, Radio Netherlands, Radio Sweden, Radio Finland (I used to be a big fan of the latter two). But I have made up for this by doing some more ham DXing and also checking the Utility stations more often than I did years ago. I just wanted to say Thanks for getting me into SWLing again. Many thanks, Jeff, for sharing your story! I’m honored the SWLing Post had a part in your re-discovery of shortwave radio. Click here to read our growing collection of Listener Posts, and consider submitting your own! This entry was posted in Listener Posts, News, Nostalgia, Shortwave Radio, SWLers and tagged Jeff Zang, Listener Posts, Radio Stories, Your Radio Story on July 2, 2014 by Thomas.